You've experienced the shiny, point-and-click surface of your Linux computer--now dive below and explore its depths with the power of the command line. 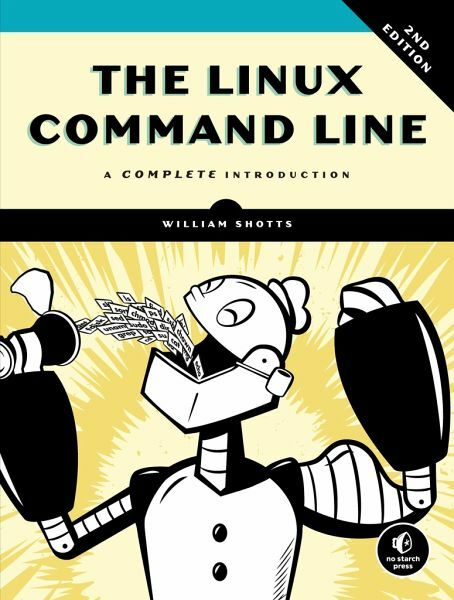 The Linux Command Line takes you from your very first terminal keystrokes to writing full programs in Bash, the most popular Linux shell (or command line). Along the way you'll learn the timeless skills handed down by generations of experienced, mouse-shunning gurus: file navigation, environment configuration, command chaining, pattern matching with regular expressions, and more. 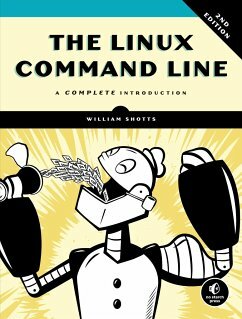 In addition to that practical knowledge, author William Shotts reveals the philosophy behind these tools and the rich heritage that your desktop Linux machine has inherited from Unix supercomputers of yore. As you make your way through the book's short, easily-digestible chapters, you'll learn how to: * Create and delete files, directories, and symlinks * Administer your system, including networking, package installation, and process management * Use standard input and output, redirection, and pipelines * Edit files with Vi, the world's most popular text editor * Write shell scripts to automate common or boring tasks * Slice and dice text files with cut, paste, grep, patch, and sed Once you overcome your initial "shell shock," you'll find that the command line is a natural and expressive way to communicate with your computer. Just don't be surprised if your mouse starts to gather dust. Chapter 1. What Is The Shell? Ein zugängliches, gut aufgebautes Buch, dass sowohl Neulingen als auch erfahreneren Usern die Shell nahe bringt, die immer noch als einer der Hauptgründe gilt, sich gegen Linux und für andere, teure Betriebssysteme zu entscheiden. Der Autor baut nicht nur diese Berührungsängste durch kleinschrittige Übungen ab, sondern lehrt den Leser, das Terminal als mächtiges Werkzeug zu schätzen. Wenn man über zuverlässige Englischkenntnisse verfügt, bekommt man hier ein Buch, dass nicht nur alle relevanten Informationen enthält, sondern obendrein eine unterhaltsam geschriebene Lektüre, die auch sprachlich überzeugt.